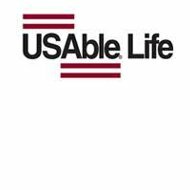 This USAble Health Insurance Company Review will focus on the insurance company known as USAble Life. The company has experience in the insurance industry along with financial stability and products of high quality, such as disability and life. Usable Insurance Company offers group health plans but unfortunately does not sell traditional individual health insurance, but you can search for health insurance right now. Just enter your zip code in the free quote box and you will be able to compare health insurance quotes for a number of companies immediately. Usable insurance Company offers insurance products to individuals to help protect and provide both you and your family in the event something unfortunate and unexpected happens. These products can either supplement the benefits you have through your employer or be purchased separately. Accident insurance is one of the options for individuals. It is an Accident Elite policy that is made up of a base policy with optional riders. The policy is guaranteed to be renewable but is only obtainable with payroll deduction. Coverage from the policy is for accidents not only on the job, but off as well. Another individual product is Cancer Care Elite. This is supplemental coverage for a covered specified disease or cancer. This coverage is offered to employees as well as their families and there are three different plans available. The money is paid to the insured directly and the policy is guaranteed renewable. Individuals can also obtain term life insurance through USAble insurance. To find out what kind of riders are available, talk to a representative from USAble Insurance. There are a number of employee benefits available through USAble Insurance. If you are an employer or a benefits administrator, USAble makes it easy to manage the benefits for your employees through their online services. If you have considered a career in the insurance industry, you may want to look at USAble Insurance. Based out of Arkansas, USAble Life is considered one of their top companies. The company is continually growing, is strong, and financially secure. To find out more about their financial ratings, check out http://www.ambest.com. The leadership at USAble Life is down to earth, dynamic, and strong. The company is focused on their employees, technology, and the future. They reward employees with incentive bonuses throughout the year. Along with supporting balance of life and work, USAble Life also has competitive benefit and compensation plans. Benefits include health, vision, and dental insurance. They also include life insurance and disability insurance as well as flexible spending accounts. For retirement and savings, USAble offers a 401(k) plan that is employee funded and matched by the company. USAble also offers a 401(k) Plus retirement plan, which is a plan that is contributed solely by the employer. Just enter your zip code right now to compare health insurance quotes for companies in your area. We have waited over five months to receive the critical illness payment entitled to us after my husband suffered a stroke. We have completed every request, every piece of paperwork required, many contacts with his physicians, etc. I have been very disappointed that to this date we still have not received payment. I would not recommend this company.